Recently I discovered KidsonMission.com and I'm pretty sure it may be one of my favorite websites. I deeply want my kids to know the Lord and walk with Him. But not just be Christians in a little Christian bubble living as consumers. I want them to live on mission. I want them to live as though this life were about Jesus and making Him known. But here's my problem. I know college ministry. It's what I've done for 12 years. And though we try to include our kids as much as we are able, it just seems they can't really be effective in the ministry we do till they get older. That's the temptation, to think kids have to grow up first before they can live missionally. And I just know that isn't truth, but honestly since I just don't understand kids ministry I have no idea on how to help them live missionally. That's why I love Kids on Mission. They know how and not only teach me, but show me and give me everything I need to help give my kids opportunities to serve now, not have to wait till their older. And reality is stated well in Philemon 6 "Be active in sharing the gospel that you might know everything good thing you have in Christ." When people get to see God use them for eternal purposes in causes something click, it's the most rewarding sense of fulfillment there is. I want my kids to have that. I want them to be able to store up treasure starting when they are young, not have to wait till they are old. I want them to have many experiences with the Lord of getting to see God use them. So I praise God for Kids on Mission in providing their incredible resources! You'll just have to check it out to see what I mean. And you can subscribe and follow on facebook. We are so incredibly honored and humbled that Kids on Mission is a sponsor of the Missional Women Conference and they have agreed to do a giveaway of two of their first two volumes of Kids on Mission (8 DVD ROM's packed full of missions plug-ins to use in all kinds of ways.) Enter below as many times as you'd like and the winner will be posted here next Friday. And PS March 11th is the last day to get the Early Bird price for the conference. You can still get tickets after that but the price will have gone up. I'm so grateful you ladies choose to take the time to link up. What you write is such a blessing, so each week I feature a handful that really resonated with me. In order to be featured you need to have our button or link on the post you link up or on your side bar. As you can see that there are just so many amazing posts! I only got through half of the ones linked up and ran out of room to highlight. All of you ladies are truly a blessing and I love how you are letting the Lord use you in your writing! Keep up the good race friends. If you were featured, feel free to grab the code below to display the badge on your blog. Thanks for being such a blessing! 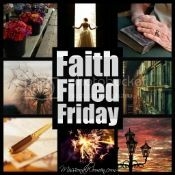 I just liked Missional Women and Kids on Mission on Facebook. Thanks for hosting once again! You can link this on Make My Saturday Sweet. God bless! And thank you for featuring our post from last week - Planting Seeds on a Cold Winter's Night! My 10-year-old has been asking how to witness to the kids at her public school. This new website is perfect for answering my questions, thank you. I know! It's so great! We did the Tiwan experience today and my boys wrote a bible stories book and are going to sell them to buy the gospel cards. Laura, I am truly humbled for you to have featured my post this week! Thank you - all Glory goes to Him... it is all Him! Blessings to you sweet Sister! Thanks for using your words to bless others!! You're appreciated! I'm glad you enjoyed the post! Thanks so much for mentioning it! Thank you so much for hosting this blog hop! 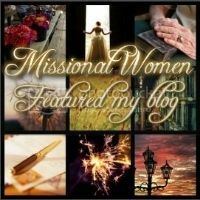 I love finding new blogs to read and follow! I don't have kids but I can understand how it would be difficult to find activities for them to do. I'm glad for Kids on Mission. I'm here from the Spiritual Sundays link up. Nice giveaway and such a great resource!